Hi and thanks for stopping by my blog. 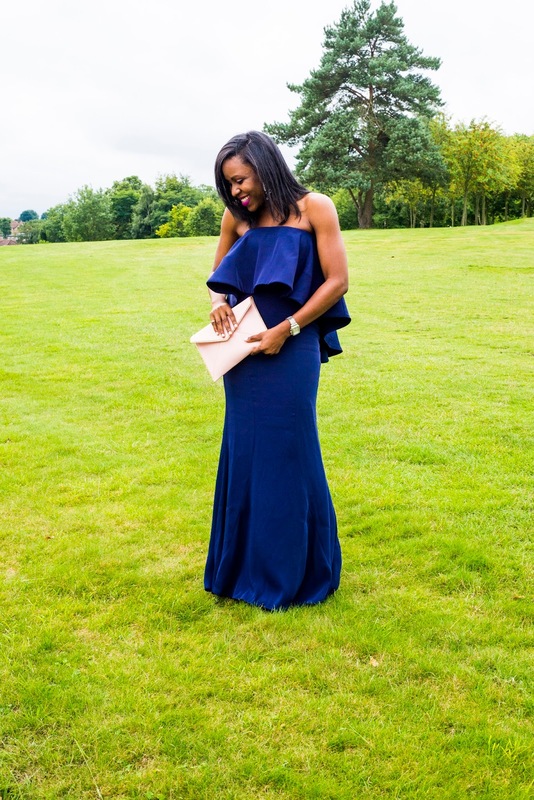 I am starting off the week with a fashion post. I had a busy weekend and ate really bad (covers face, lol) right now I am trying to play catch up this week and most importantly eat better and detox! 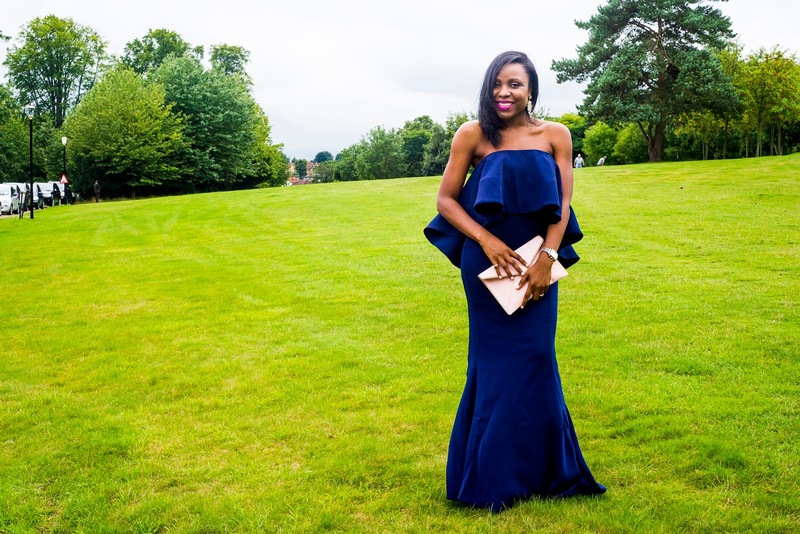 Back to the post, I am not the type to wear a long dress for an event except if its the dress code but this blue number changed my mind. 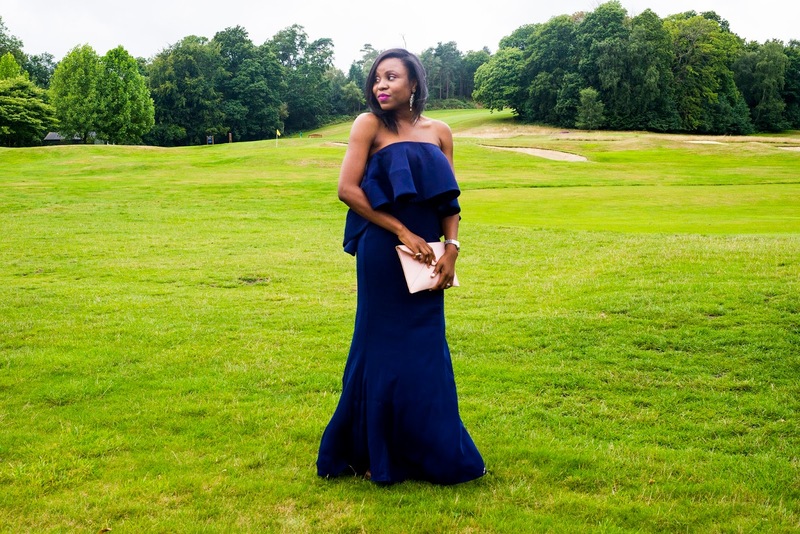 I was traveling to London for a friend’s wedding, so I decided to switch things up and try something different. (Besides we all know how unpredictable the British weather is, lol) so I came prepared. 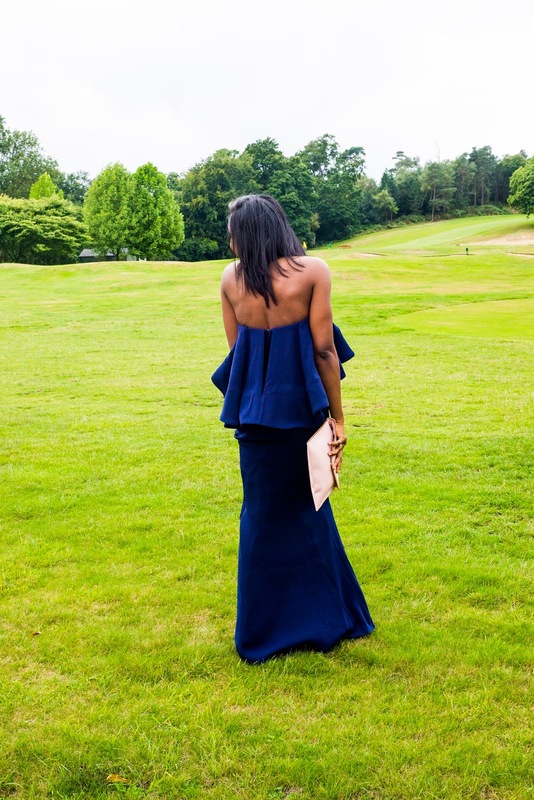 I love the exaggerated frill, it takes it from a simple navy dress to a head turner:) I kept the rest of my look at a minimal and chose lighter colors to compliment my navy blue dress. 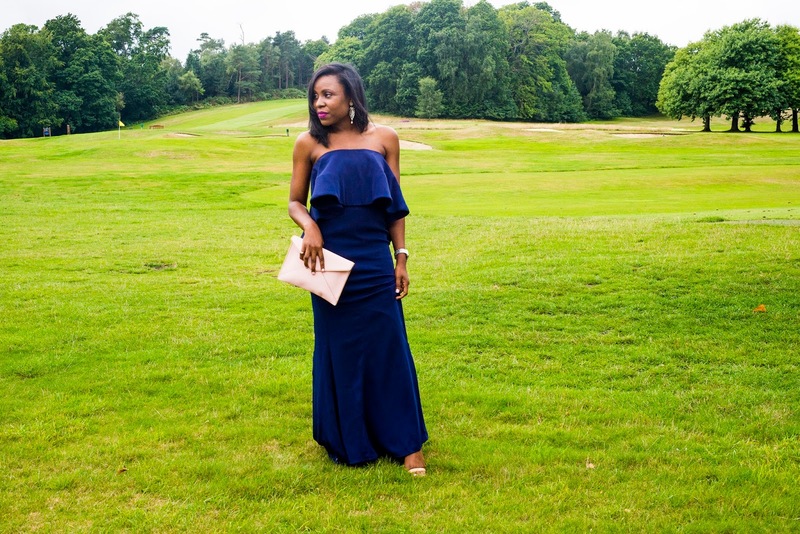 What do you think of the look and do you wear long dresses for any occasions? A really elegant look, greetings lovely. 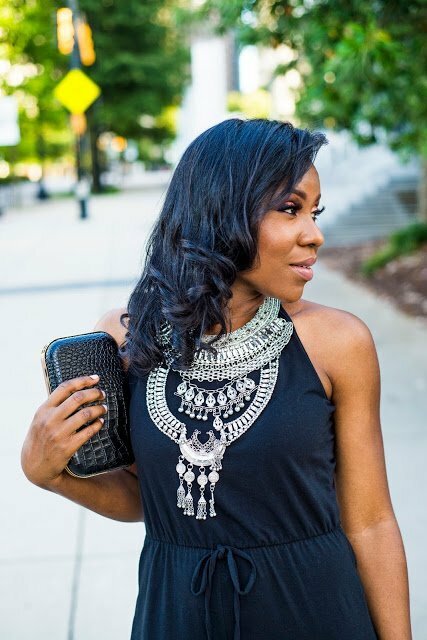 Love this dress and the accessories definitely compliments it! I am a fan of long dresses, just don't have many opportunities to wear them! Beautiful all around my dear.